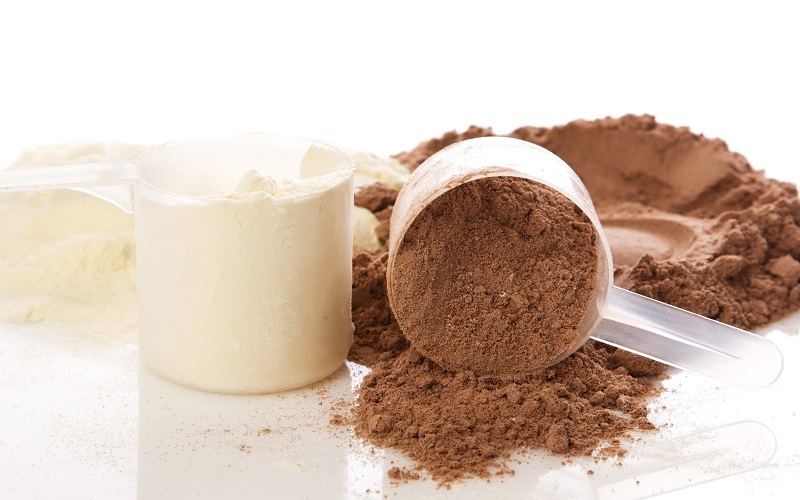 You are at:Home»Health»A Review of Orgain Organic Protein Powder: Is It Effective? Orgain is one of the companies that are renowned to produce some of the best meal replacement shakes for weight loss. The company mainly focuses on ready to drink shakes, whey shakes as well as kids’ shakes. One of the things that make orgain to stand out in this competitive weight loss industry is its vegan shake, orgain organic plant-based protein shake. The all-natural organic plant shake comes in various flavors to cater to the different needs of various users. A single serving (two scoops) of this protein plant-based powder contains 150 calories, 21 g of protein, 15 g of carbs, 3.5 g of non-saturated fat among others. There is also calcium, iron and 180 mg of sodium. Organic Chia Seed Extract which contains fiber, protein, and fatty acids. However, the fatty acids from the chia seeds are not always absorbed by the body easily. Organic Brown Rice Protein which is easy to digest. It helps to enhance the development of lean muscles mass. Organic Pea Protein which is a legume that contains high amounts of amino acids. The amino acids help the body to effectively synthesize the fat. Based on the orgain organic protein review, this meal replacement shake flavor is derived from three plant-based sweeteners i.e. erythritol, monk fruit, and stevia. It has a creamy taste even if it’s mixed with plain water although it can be mixed with other beverages to improve its flavor. Consistency Orgain Organic Protein Powder mixes pretty well with all liquid beverages. It has a great consistency and it can be perfectly blended with fruits or vegetables. This meal replacement drink that is great for vegans is formulated using ingredients that are derived from fruits, vegetables, sprouts, roots etc. The organic and plant-based orgain is rich in proteins which help consumers to feel full for long hours. This shake is available in two types of flavors, creamy chocolate fudge, and vanilla bean. The feeling of satiety and fullness which last for long hours help to create calorie deficiency in the body leading to weight loss. This meal replacement shake also provides the body with the energy required to boost metabolism which enhances the conversion of fats to fuel. Busy professionals who don’t have solid workout routines or great diet plans due to their demanding jobs. Athletes who need a protein-rich supplement for post workout and pre-workout. Underweight and overweight individuals who want to attain a healthy body weight. Stressed and busy students who need an easy and convenient weight loss shake alternative. Everyday people who are looking for an alternative source of proteins. Note that Orgain Organic is a great addition to any diet or meal plan and that is why it is sometimes not sold as a full meal replacement. Orgain organic protein review indicates that this is a great shake that delivers effective and timely results. Orgain Organic is a tried and tested meal replacement with no side effects. However, some users may experience reactions due to high amounts of ingredients found in this shake. This protein-rich shake contains organic erythritol sweeter which may result into side effects such as rumbling of the stomach, bloating, indigestion, intestinal gas, nausea, and others. Orgain Organic meal replacement shake contains guar gum and it can cause side effects such as indigestion, gas, stomach pains and cramps, diarrhea, loose stools among others. Note that meal replacement shakes are usually formulated with high amounts of fiber and this could make the consumer to constantly feel thirsty. An increased water intake in the body can lead to an imbalance of the natural water levels in the body which can be harmful. Is Orgain Organic Protein Powder Recommendable? Well, it is one of the best meal replacement shakes that offer users numerous health benefits. The affordable and versatile weight loss product nourishes both the inside and outside of the body. It contains high amounts of protein which help to enhance the physical appearance of the body while the limited amount of sugar and fats help to reduce insulin and cholesterol levels. If you are wanted to lose weight or if you want to start to eat clean food, then this is the best drink that you can go for. Furthermore, this vegetarian shake is dairy and meat free and those individuals who are allergic to gluten, soy, nuts or dairy can safely consume this protein powder.